I want to welcome you all to the first edition of our TTP Buddies newsletter. I have put this together to share the findings from the recent survey and to start a conversation with you all about TTP Buddies. At the TTP Network we are committed to find ways to bring fellow TTP patients together. This newsletter is here to benefit all of us; it’s your newsletter. What we’d like to do is to use this as a way to share your buddying stories and your experiences. So, in the coming months, we will look to kick start a new phase of TTP Buddies and what you shared with us, through the survey, will help us to do just that. Let’s explore what you told us. 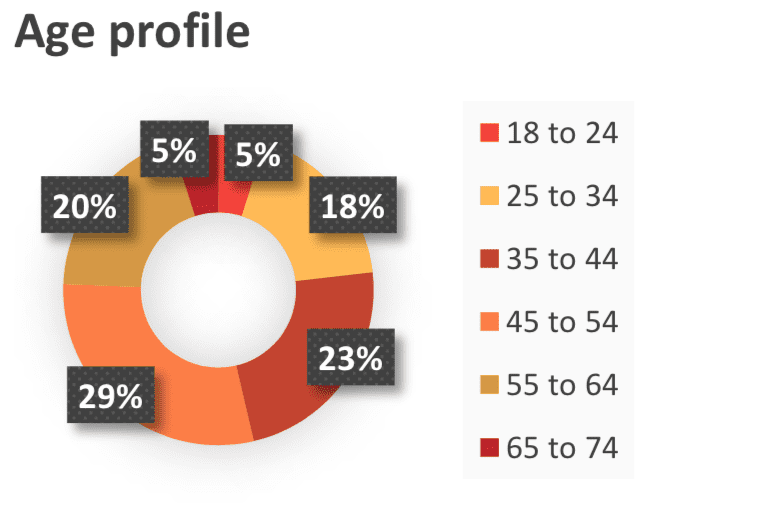 respondents were women aged between 35 to 64 years. Five men shared their thoughts with us – moving forward we’ll explore how we can better engage our male members. Majority of you completing the survey are not currently TTP buddies. This is encouraging as whilst we want to improve support for our current buddies, we are equally interested in how to provide a scheme for our broader network. It was great to see a global response to the survey with contributions from the UK countries, Europe, USA and Australia. Chatting to fellow patients, being part of a buddies network and access to advice and information are really important to you. 90% of you wanted to use the buddies scheme to find out more about TTP – advice and support. Of less importance was the opportunity to catch up with people when attending your appointments. Flexibility in how the buddy support works is key. 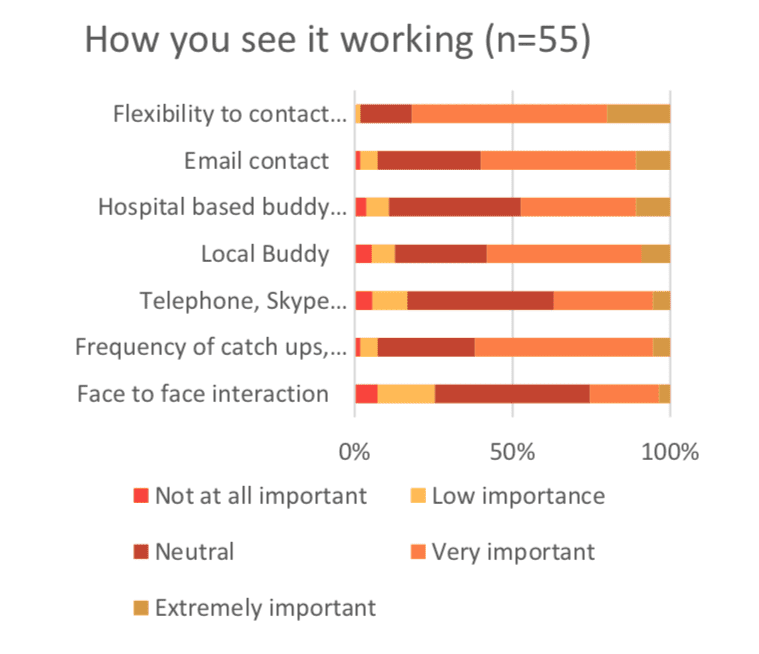 Lots of you are keen to use email, though are likely to use messaging, the telephone and video call to stay in touch with your buddy. Nearly 60% of you would value a local buddy – interestingly only a quarter of you rated meeting face to face as very or extremely important. Hospital based buddy support is something that seems of interest, with around half of you thinking this was important. This is backed up with over two-thirds of you seeing this as something the TTP Network should explore. So what else do you think the TTP Network should do? You indicated that the following are important – arranging and co-ordinating the buddying up, thinking about peer to peer buddy support and developing ways to support the TTP Buddies. Creating and supporting a rich experience is vital and tools like a role description and thinking about a vision and core values are all things that can help buddies support each other. Importantly, they’ll help us create a consistent offer so wherever you are and whoever you are you’ll know what TTP Buddies is all about. 76% of you are very interested in finding out more about TTP Buddies. Your responses to learning about and getting involved with TTP Buddies is very exciting. 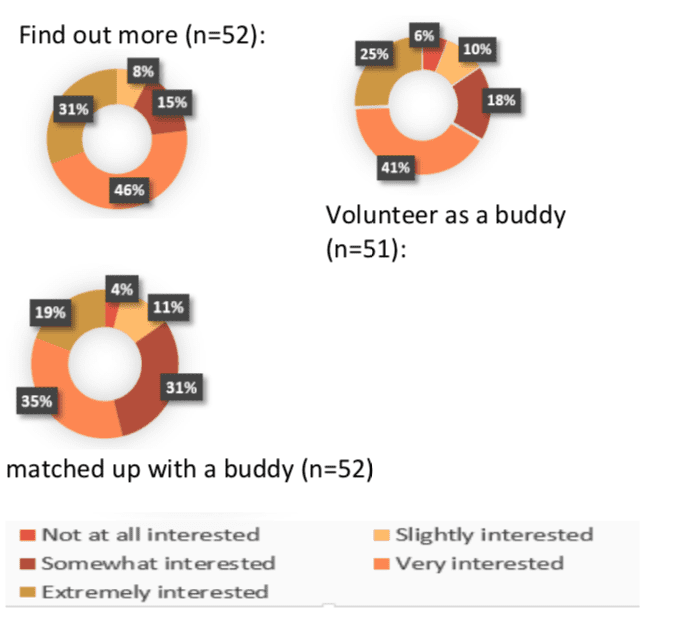 66% of you expressed an interested in being a buddy, with 54% indicating you’d like to get matched up. Thank you to those of you who provided us with your contact details and you will soon receive an email from the TTP Network. We would ask you to bear with us as we arrange things. Thank you to all of you who spared some of your precious time to complete some of the survey. Your responses have provided us with lots to consider and we will now plan how to improve TTP Buddies and help those of you who are ready and want to join TTP Buddies to buddy up!